Ada pertanyaan untuk APA Hotel Kanda Jimbocho Eki-Higashi? Terletak strategis di area berbelanja, restoran, melihat-lihat di Tokyo, APA Hotel Kanda Jimbocho Eki-Higashi menyediakan tempat yang kondusif untuk melepas penat dari kesibukan Anda. Pusat kota terletak hanya sekitar 2.5 km dan bandara dapat ditempuh dalam waktu 60 menit. Dengan lokasinya yang strategis, hotel ini menawarkan akses mudah ke destinasi yang wajib dikunjungi di kota ini. Pelayanan dan fasilitas hotel kelas satunya menggambarkan pengalaman menginap di APA Hotels yang menanti Anda di APA Hotel Kanda Jimbocho Eki-Higashi. Ketika menginap di properti yang luar biasa ini, para tamu dapat menikmati WiFi gratis di semua kamar, resepsionis 24 jam, fasilitas untuk tamu dengan kebutuhan khusus, check-in/check-out cepat, penyimpanan barang. Masuki salah satu dari 187 kamar yang menggoda ini dan lepaskan rasa penat Anda dengan sejumlah fasilitas yang tersedia seperti televisi layar datar, akses internet - WiFi, akses internet WiFi (gratis), kamar bebas asap rokok, AC. Pijat di hotel ini adalah tempat-tempat ideal untuk bersantai setelah hari yang sibuk. 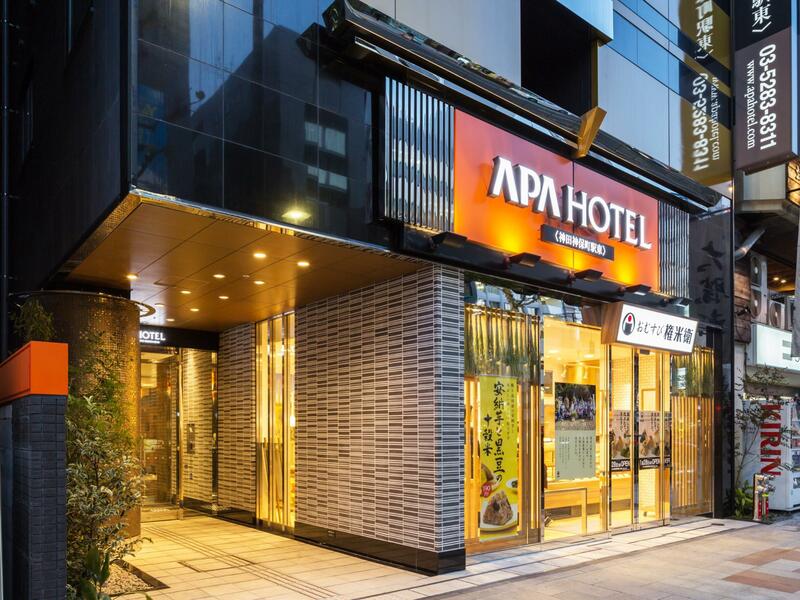 APA Hotel Kanda Jimbocho Eki-Higashi adalah destinasi serbaguna bagi Anda sebagai akomodasi hotel yang berkualitas di Tokyo. Tamu yang datang setelah pukul 12:00 AM diwajibkan menghubungi pihak properti secara langsung sebelum kedatangan. Sarapan disajikan dengan gaya Jepang. Sarapan disajikan mulai pukul 07:00 hingga pukul 10:00. Hanya ada 2 slot parkir di dalam properti dan tergantung persediaan. Tempat parkir hanya cukup untuk 2 kendaraan, dan yang datang lebih dulu akan mendapat tempat. Silakan hubungi properti untuk informasi lebih lanjut. Hotel ini cukup besar dan sangat ramai. Krn depan hotel langsung stasiun kereta. Kamar cukup bersih meski hotel ini sudah cukup lama. I guess all rooms in Japan is small for this price. It's a good place to stay for adults and business travelers, staff are really friendly. Wouldn't recommend for families with young kids as it's quite a walk to and from the train stations. Overall good. Thank you very much for staying. We apologize for the inconvenience. Compliments from customers are our staff's encouragement. We look forward to your next visit. Staff are very polite and accommodating. Nice and clean room, however there is no cabinet for proper placement of our belongings since we stayed there for 16 days. The location is great for students (walking distance to Meiji University) and travellers(near to 2 subway stations). Everything was great. The staff are helpful. It is located mid way between three stations: Jimbocho, Ochanomizu and Awajicho stations. It is a short walk away but the walk feels longer when you are carrying heavy luggage. I would recommend the hotel. I was staying there for only 1 night of my first trip to Japan. The staffs were very friendly and helpful, they politely served good services as I required. The single-non-smoking-room was quite small but it was convenient for solo traveler. Everything in the bathroom was very clean. I will stay there again for next chance travaling. I stayed at APA Hotel in 4 days totally. The room is quite small (I think that it is common when booking in Japan), but it is well organized and well equipped. It took me only 7 minutes walking from Jimbocho Station/ Awajicho Station and 10 minute from JR Marunouchi station. 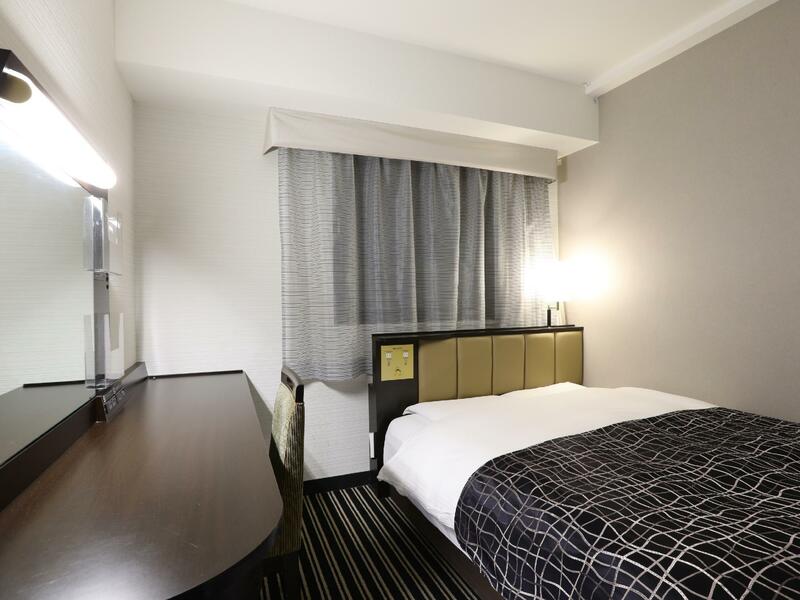 It is recommended hotel for you when choosing Japan for your next trip. 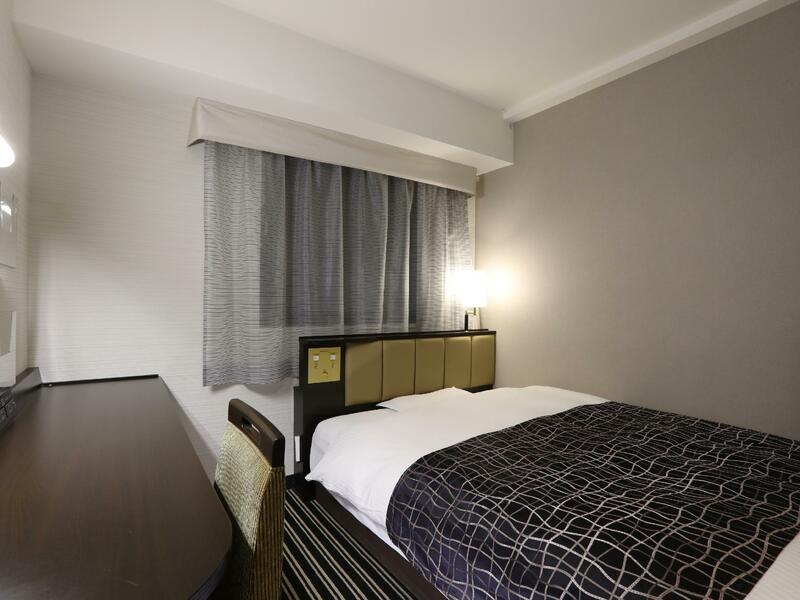 Although the hotel is not located in a busy center of Tokyo, it is easy to access Metro and JR station. It takes about 6 minutes to walk from Jimbocho Station or Awajicho Station. Staffs are helpful and friendly. The room is small, but it's convenient and well-equipped. I had a great trip in Japan, partly contributed by staying at APA Hotel. It's located in between two stations, so it's a 3-4 minute walk from metro station anyway. However, there are bound to be some staircase for most of the convenient exits, so bear in mind if you have heavy luggage with you. Cosy and clean room. Nice double bed for a single room. Helpful staff who speaks English. A pleasant stay overall. I couldn't say anything negative for this hotel other than they could use a few more washer and dryer for the guests. They only have 1 which the whole hote shares. The hotel is very clean and very friendly staff. I would highly recommend this hotel and also would stay here again. The wifi is a bit slow which can also use a lot of improvement. Other than that superb hotel! We stayed only for a few nights. The hotel room was small but very clean and well maintained. The location is not that near to some places of interests but close enough to public transport and (interestingly enough) some specialty ski shops. From the blurb, we were expecting smaller beds and smaller rooms. Yes, they were small, but the beds were a good size for two people and the rooms had space to move around in. Beds were warm and comfortable. Hotel was near restaurants / cafes and small conveniences stores. A short walk to get to the underground. Staff were very helpful, giving maps to help us get around. As we arrived at 2.00am, the evening staff should be commended on their pleasant and helpful demeanour. They processed us quickly so that we could get to sleep. This hotel is located in a very great location, around five minutes walk from the nearest station. It is surrounded by sports utility stores all around. Especially if you wanna buy some snowboarding or skiing accessories in the winter, this is the place that you would want to stay. Room is standard small, but very clean and new. Great budget hotel close to various Subway lines meaning close to lots of Tourist hotspots.